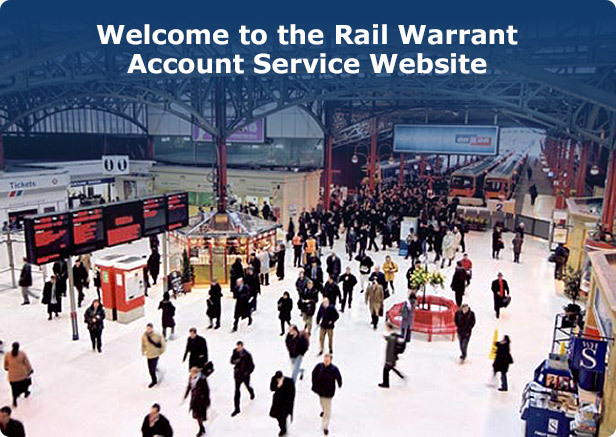 Welcome to the Rail Warrant Account Service Website. Please note, the Rail Warrant Account Service is one of many Rail Account services available to businesses, organisations, and charities. To find out more about these services please click here. If you feel these services do not fully meet your needs, then please send an email to tony.ewers@raildeliverygroup.com to request an application form for a Rail Warrant Account. If you have any queries regarding rail warrants or alternative payment methods, then please contact us at Warrant.Account@raildeliverygroup.com.